The Undiscovered Chinatown Tour, Chinatown, Downtown, Saturday 2/6, 10:30am-1pm. (Offered every first Saturday of the month). Visit a temple, an herbal shop, art galleries, antique stores, and more when guided to the unique treasures–not to mention great bargains–to be found in Chinatown. Wear comfortable walking shoes and be prepared to wind your way through a myriad of alleyways, plaza stalls, and classical courtyards to discover the charm of L.A.’s Chinatown. 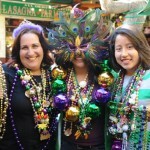 27th Annual Mardi Gras Celebration , The Original Farmers Market, 3rd & Fairfax, Saturday 2/6, 5pm-10:30pm. L.A.’s favorite Mardi Gras celebration returns for its 27th year straight. It features the finest New Orleans and Zydeco music, strolling parade bands, down home Southern cooking, activities for kids, bead throwing, and much more. China: New Year Dragon Puppets (Family Art Workshop), Junior Arts Center at Barnsdall Art Park, Hollywood/Los Feliz, Sunday 2/7, 10am-12pm. Join instructor Quan Trang for a free family art workshop in a real art studio. All materials are provided. Each Sunday a different culture and media are featured. This particular Sunday, special Chinese sweets will also be offered. 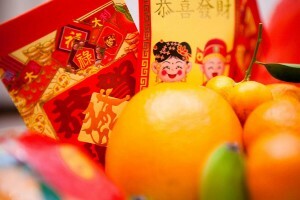 Chinese New Year Festival , Bowers Museum, Santa Ana, Sunday 2/7, 11am-3:30pm. Celebrate the Year of the Monkey at the Bowers Museum’s Chinese New Year Festival with art projects, music, performances, and more! 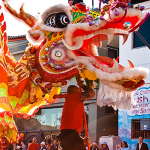 6th Annual Lunar New Year Festival, USC Pacific Asia Museum, Pasadena, Sunday 2/7, 11am-5pm. Experience how the Lunar New Year is celebrated in China, Korea and Cambodia. At this year’s festival, celebrate with music, dance, art making, storytelling, and a host of other family-friendly entertainment that explores the arts and cultures of Asia and more. Family Day: A Day of Global Disguise , Fowler Museum, UCLA, Sunday 2/7, 1pm- 4pm. 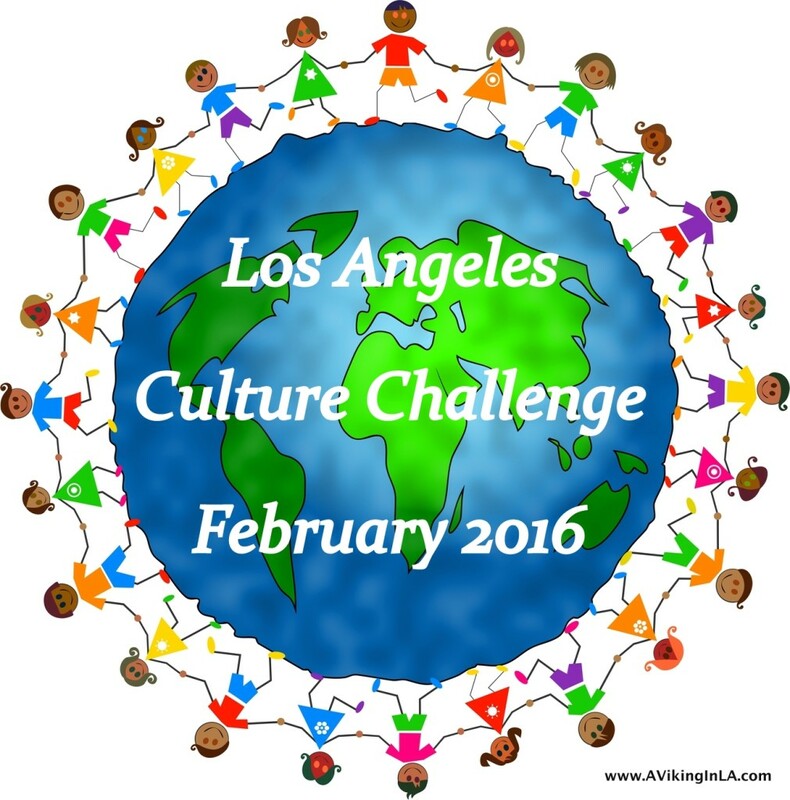 Participate in a special program for all ages inspired by Disguise: Masks and Global African Art and Celebrate/Demonstrate: Photographs of Global LA by Cindy Bendat. Disguise yourself in the spirit of Mardi Gras and Carnival celebrations, participate in a commedia dell’arte workshop, and enjoy performances of masked art. At 3pm, witness the Baile del Torito (Dance of the Little Bull), a Mayan dance drama practiced throughout Guatemala and southern Mexico. A Path Appears: Actions for a Better World , Skirball Cultural Center, ongoing until February 21. Inspired by the bestselling book A Path Appears by Pulitzer Prize–winning journalists Nicholas D. Kristof and Sheryl WuDunn, the exhibition is both a gallery installation and a community engagement project—a place where every visitor can take practical, results-driven steps to bring about social change. Get inspired inside innovatively designed pavilions exploring four critical humanitarian issues: education, health, good jobs, and empowerment. Tap into the power of grassroots action as you learn of organizations—both local and around the globe—that are developing workable solutions to some of the world’s most pressing problems. Then join in building a better world as you engage with ActionLab, a mobile-friendly tool that uses storytelling to promote social change and spark a commitment to human rights. 117th Annual Golden Dragon Parade, Chinatown, Downtown, Saturday 2/13, 1pm. The parade includes almost two dozen floats, multiple marching bands, government officials, various dignitaries, entertainers, local business leaders, and cultural groups. Queen Mary ScotsFestival, Queen Mary, Long Beach, Saturday 2/13 & Sunday 2/14, 9am-6pm. The Queen Mary’s ScotsFestival & International Highland Games XXIII in Long Beach kicks off the Scottish Festival and Highland Games season offering guests a glimpse into Scotland’s rich culture and history featuring an array of activities from Highland athletics and dancing to Lowlands music and cuisine. Symbols of Kindness, USC Pacific Asia Museum, Pasadena, Sunday 2/14, 10am- 6pm. Join as the museum celebrates the many ways the people of Asia express kindness to others. Admission to the galleries and the day’s programming are FREE all day. Special activities include Silk Road Story Time (10:30am & 11:30am), Art Activity (10:30am–4:30pm), and Spotlight Tours (11am & 1pm). 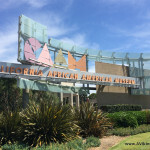 Celebrating Black History Month , California African American Museum (CAAM), Exposition Park, Sunday 2/14, 11am-5pm. Join CAAM as they celebrate Black History Month with a slate of exciting programs. African-American Art Festival, STAR Eco Station, Culver City, Saturday 2/20, 11am-4pm. Enjoy African drumming and dancing, art exhibits, interactive art projects, BBQ, games, and local vendors. Chinese New Year Celebration, The Huntington, Pasadena, Saturday 2/20 & Sunday 2/21, 10:30am-4:30pm. Celebrate the Lunar New Year at The Huntington as the Year of the Monkey begins. This two-day family event includes lion dancers, plus crowd-pleasing mask-changing performances, martial arts demonstrations, Chinese music, calligraphy and brush painting demonstrations, displays of penjing (Chinese bonsai) and scholar’s stones, and more. 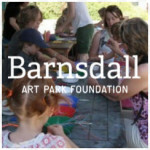 African-American History Month: Aaron Douglas Collage (Family Art Workshop), Junior Arts Center at Barnsdall Art Park, Hollywood/Los Feliz, Sunday 2/21, 10am-12pm. Celebrate Black History Month with Jose Sanchez. Learn about Aaron Douglas, an African-American painter and graphic artist who played a leading role in the Harlem Renaissance of the 1920s, and create collages. Kids in the Courtyard: Feast your Eyes, Fowler Museum, UCLA, Sunday 2/21, 1pm-4pm. Let the tortilla be your canvas for this very tasty day. Watch as artists in the Great Tortilla Conspiracy silkscreen images on tortillas with chocolate. Make edible art with corn (maize), cheese, and chocolate; sample “corny” foods; and learn all about the social history of maize and the many ways this delicious food can be prepared in celebration of the opening weekend of José Montoya’s Abundant Harvest: Works on Paper/Works on Life. Musical Explorers, The Broad Stage, Santa Monica, Saturday 2/27, 11am or 1pm. 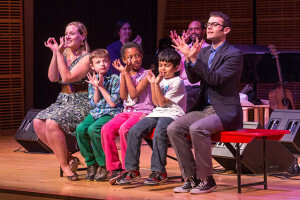 Bring the whole family to experience the international sounds of LA with this one-of-a- kind music program direct from Carnegie Hall. After its Broad Stage debut last season, Musical Explorers returns for another action-packed weekend of cultural discovery and sweet-sounding adventure. From Bluegrass ballads to Yiddish folk tunes, you and your children will learn songs, share stories, and explore the rich musical histories that live right in our own backyard. For ages 5 and up. To buy tickets, visit website. 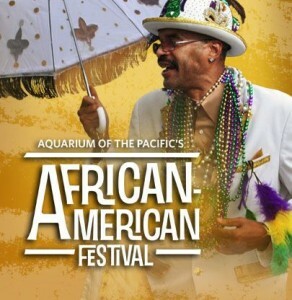 African-American Festival, Aquarium of the Pacific, Long Beach, Saturday 2/27 & Sunday 2/28. The aquarium hosts its 14th annual African American Festival celebrating the rich diversity of African American and African cultures. The weekend will feature live entertainment, arts and crafts, ethnic food, and more. Festival performers include Mardi Gras second line dancers, hip hop and break dancers, tap dancers, jazz musicians, interactive drum circles, West African dancers, and storytellers.